and all registry entries regarding CustomerFeedback and EnableErrorReporting are set to 0. There is a MS Knowledge Base article for this problem. However it is for SQL Server 2012. It says that this error is related to the "Software Usage Metrics feature". I already followed the advice to grant permissions for the SQL Server service account. However the error message keeps appearing and I don't want Microsoft to collect data anyway. Is that the same feature as the CEIP stuff or something else? How do I deactivate Software Usage Metrics correctly? (This would leave the SQLCEIP service running and not emitting information to Microsoft). Microsoft recommends you follow documented procedures to make sure that when you are engaged with customer support on an issue they can help fix that issue quickly. As for whether SQLCEIP is "spyware", I'll try to make sure that you have full information about what kinds of information is collected/not collected through the SQLCEIP mechanism. Microsoft does not try to capture keystrokes, customer data, or otherwise use information we collect to market to customers at all (as you might find in a traditional definition of spyware such as https://simple.wikipedia.org/wiki/Spyware ). The information collected through SQLCEIP is used to make sure that features are working well for customers both during the development cycle of a new version of SQL/new features and to make sure that we understand how our customers use the product so we can make it better. We don't collect information to personally identify anyone and we don't want to know who you are or what you do individually. We are interested in "how many people use Columnstore indexes?" and "how many rowgroups inside of a Columnstore index are optimally packed so that the customer is likely to get a good performance experience?". The information collected help us make sure that our engineering teams have done a complete job at making each feature work for customers. Furthermore, we document our privacy policies about what kinds of information we collect/do not collect. Microsoft recently re-vamped all parts of the company to use a single privacy statement, but SQL has a supplement which is aligned closely with its former separate privacy statement since we wanted it to be easy to read/understand and not get lost in the data collection policies for the other consumer services Microsoft provides. I hope that this answers your questions as to what the software usage metrics mechanism is and why it is not sending information to Microsoft/related to SQLCEIP. Not the answer you're looking for? Browse other questions tagged sql-server sql-server-2017 setup or ask your own question. What permissions do I need to grant on service accounts on SQL root path when relocating? 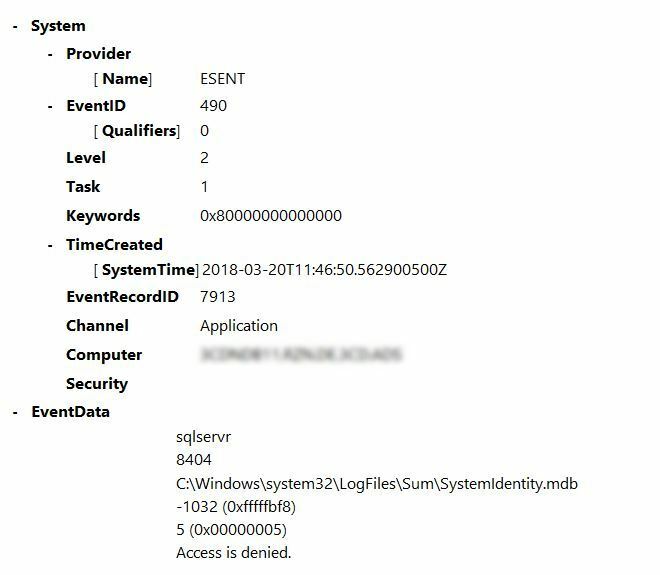 Can I disable the spyware in SQL Server?